Birmingham City University has set up a new Water, Environment and Communities research group designed to tackle flooding and water-related issues in the West Midlands and further afield. The group will bring together those academics who have skills and expertise in the field of water resource management, with topics set to be covered including engineering, sustainable urban drainage, flooding, hydraulics and community engagement. Challenges presented as a result of government planning and policy, the use of water for leisure and environmental history will also be assessed, while detailed studies looking into the causes of water-related issues like flash flooding are also set to be carried out. Associate dean at the Faculty of Computing, Engineering and the Built Environment at the university professor David Proverbs commented on the news, saying that the aim of the group will be to improve the lives of communities and residents whose lives have been affected in some way by water. “Many of us have seen the flooding that happened across the West Midlands earlier this year, and how it has impacted our communities in recent years. “The greatest direct climate change-related threats for the UK include large increases in flood risk and shortages in water, including substantial risks to UK wildlife and natural ecosystems, risks to domestic and international food production and trade,” he went on to say. The research group is set to host its first regional scoping workshop on January 30th next year, with academics from the university already enjoying a long history of tackling water-related issues. They have advised governments all over the world as to how best to enhance water defence systems and relieve the impact of flooding. 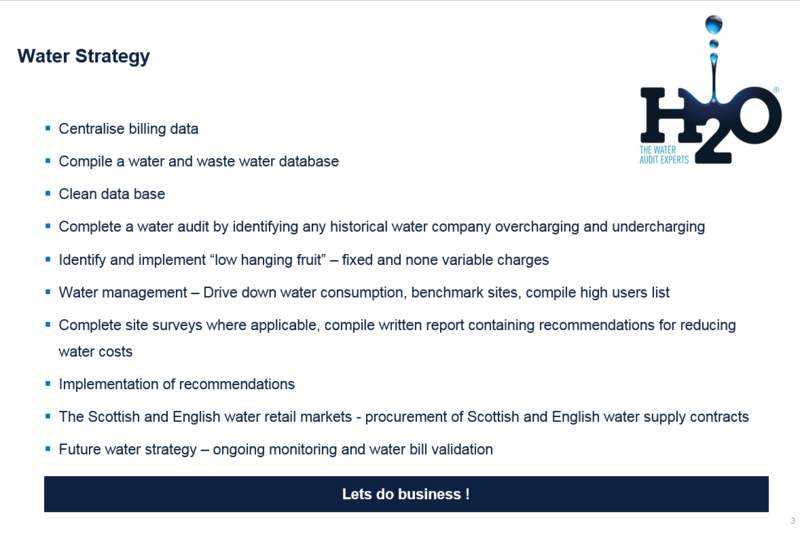 This news may well inspire businesses all over the UK to review their own water strategy and if that sounds like you, get in touch with us here at H2O Building Services today to see how we can help. Saving water will not only ensure that you’re doing your bit to protect the planet and this vital resource of ours (which is increasingly under stress and strain because of climate change and the growing global population), but will also help to save you and your company money into the bargain. It’s a win-win! We have a team of professional water consultants who are experts in the field of water management and who are able to identify ways for you to reduce your water use, using all the latest technologies at our disposal to reduce water consumption and thus lower your bills.